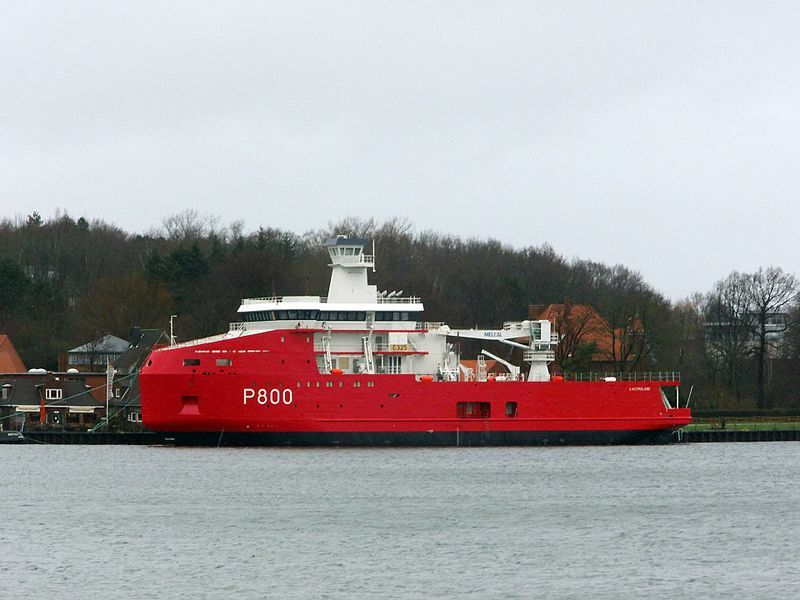 NavalToday reports that the French Navy will soon accept a light icebreaker/ supply vessel to be named L’Astrolabe. It will replace a smaller vessel of the same name. It is 72 metres (236 ft) long and 16 metres (52 ft) of beam, somewhat larger than her 66-metre (217 ft) predecessor. Aker Arctic provided the basic design. Late addition: Check out NavyRecognition’s report for a better selection of photos. This entry was posted in Antarctic, icebreaker, Shipbuilding by Chuck Hill. Bookmark the permalink.